Santa might be the one who knows if you've been naughty or nice but we're the ones who know how to blitz through your Christmas shopping whilst supporting local small businesses! If you've been a little "naughty" this year and you're trying to get in Santa's good books then you may want to consider supporting some of these fabulous local small businesses and you'll be sure to make Santa's "nice" list this Xmas! Shop for all these amazing Christmas gifts from the comfort of your own home...we've even linked the photos for you. You're just one click away from reveling in total Christmas shopping success with these unique and special gifts! This classic round neck, short sleeve casual tee with "Mother of Dragons" slogan printed on the front is the perfect whimsical addition to any outfit. Perfect for busy mums who want to look effortlessly chic or fantasy nuts who can't get enough of Game of Thrones. For $34.95 you can sort your Christmas shopping right now! Jet Empire...a jewellery collection inspired by MUSIC, designed and made in the Jet Empire studio in Mount Claremont, Western Australia. Jet Empire jewellery is for the woman who reflects, pauses in the moment, plays, progresses and mixes things up from time to time. If you love unique, quality jewellery with a lifetime guarantee, you need Jet Empire jewellery. They offer different sizing options for bracelets in their online shop, and individual service should you require anything else altered. Your purchased gift will come with complementary Christmas tags. Simply choose how many you need when checking out! The tags are bookmark sized and blank on the back for your personalised message. What do you give your #infamousfriends who have everything? It'd have to be a totes appropriate tee from @infamousfriendslabel – Perth's very own luxe brand of slogan t-shirts. They'll be loving themselves sick in the super soft 100% viscose fabric! And if you've left it too late, don't stress. Infamous Friends have eGift Cards also available. Their new MIMI PINK colour palette is on point and their Queen of Whatever tee is made from 100% Viscose, so it's super soft, crazy comfortable, and breathtakingly breathable. They also have a heap of other super cute tees available in their Merry Infamous Christmas Sale so definitely check it out! ENTER CODE 'MERRY2017' AT CHECKOUT. While stock lasts. Sale ends midnight Wednesday (AWST). Spoil someone today with a gift voucher to this glamorous nail bar that will redefine your nail bar experience. The lucky recipient of this gift voucher will experience a new standard in service and luxurious attention never before seen in Australia. Gift Vouchers are available for purchase in store or online via credit card and PayPal. 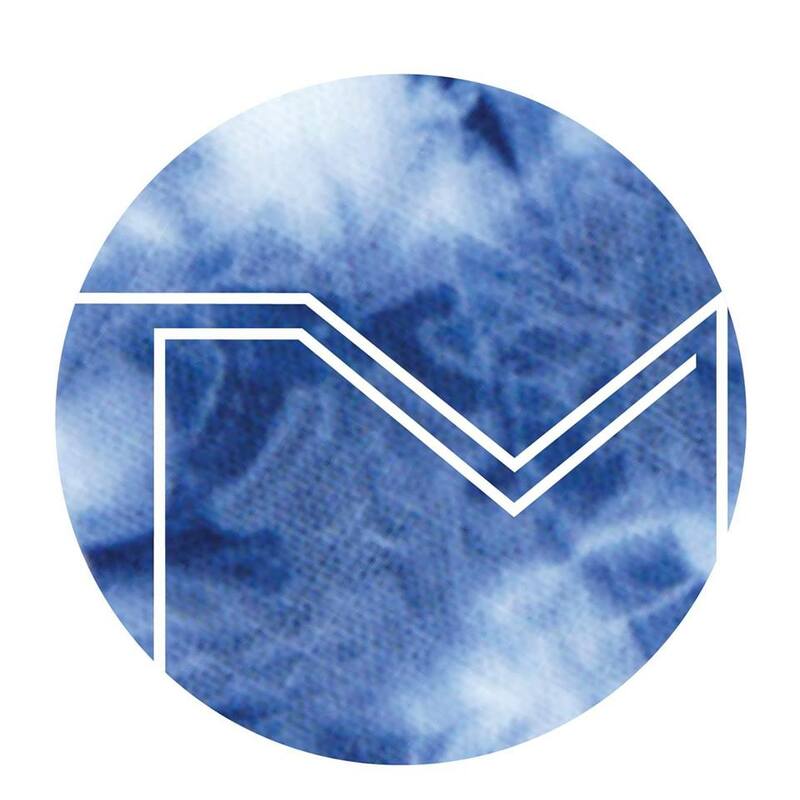 Simply select one of the vouchers available and enter your personalised message to have it delivered to you or the recipient via email in a printable format (PDF). With two central locations to choose from at Cockburn Central Shopping Centre and Hay Street, Subiaco it's sure to be a winner! Who doesn't love fresh glowing beautiful skin! The Skin Nurse has searched the globe for the premier techniques and procedures to achieve radiant skin that you can only dream about. Who wouldn't be delighted to receive a beautifully presented gift voucher, The Skin Nurse has vouchers available for any monetary amount you choose. Let's talk gift packs! You can't go past the $10 Cleanse Off Mitt! Bin the wipes and micellar water! This is the kindest way of removing makeup and pre cleaning your skin. Simply wash and reuse daily! How fantastic is that! Here are some other beauty product gifts packs with OVER 30% Savings (contents listed online). 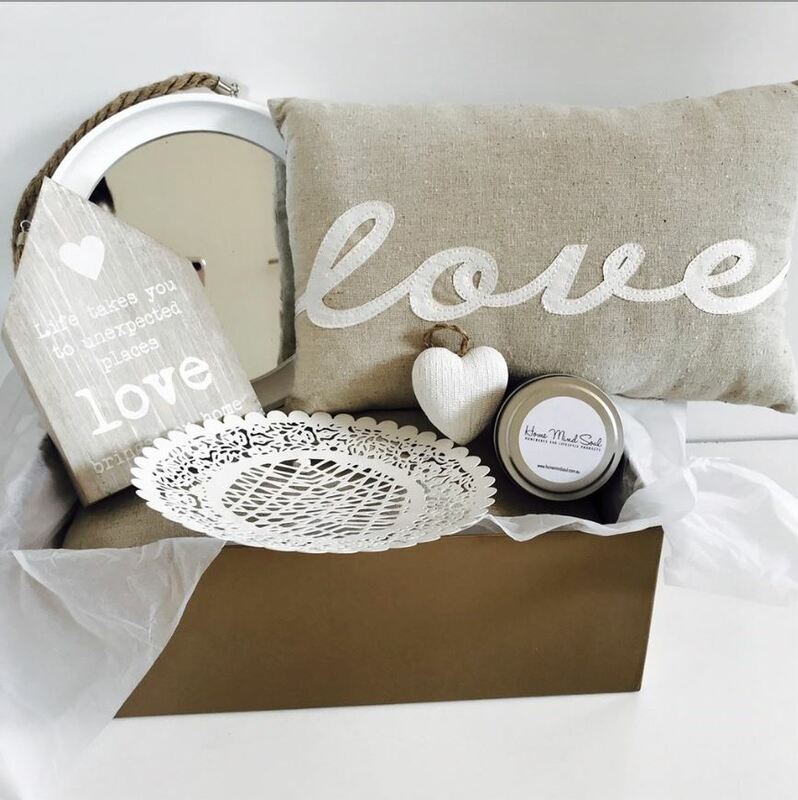 All packaged in a beautiful Image Skincare keepsake box. "YOU'RE SO HARD TO BUY FOR" GIFTS! How many times this month have you said to yourself "they're just so hard to buy for!" as you wander an enormous department store in the hope that something you see will give you inspiration for what to buy the person who has everything! You can stop wandering around that massive department store now...we've come up with some absolute beauties! Having a Splendour Box arrive at your home means that you are opening the door to a realm of new products and new discoveries. Each box is curated with products that lay their foundations on benefiting the world and our health, not profiting from it. Cruelty-free, environmentally aware, clean living, nourishing wholefoods, green beauty. These aren’t just buzzwords; they are statements that many companies stand by. With 8 health and wellness products carefully selected for your enjoyment let SPLENDOUR BOX find the right products so a lucky recipient of this amazing gift can enjoy (and support) them this Christmas. These gift boxes are curated with Christmas treats, perfect to show your appreciation this festive season! You Can pick anything that suits your theme/colour scheme/liking from the specific Christmas section on the site, you are spoilt for choice with a wide range of boxes to choose from. So much goodness in one perfect dreamy box! These unique Modern Country Décor homewares are simply the most divine items which you will not readily find in a store so they make for quite a special gift. You will discover a carefully selected collection of items at HMS, many only limited to an availability of 3! There are three to choose from and you can add your own personal touch or leave as is. These $50 Gift Hampers are available online - with a local Perth pick up option and are quite simply Christmas perfection. 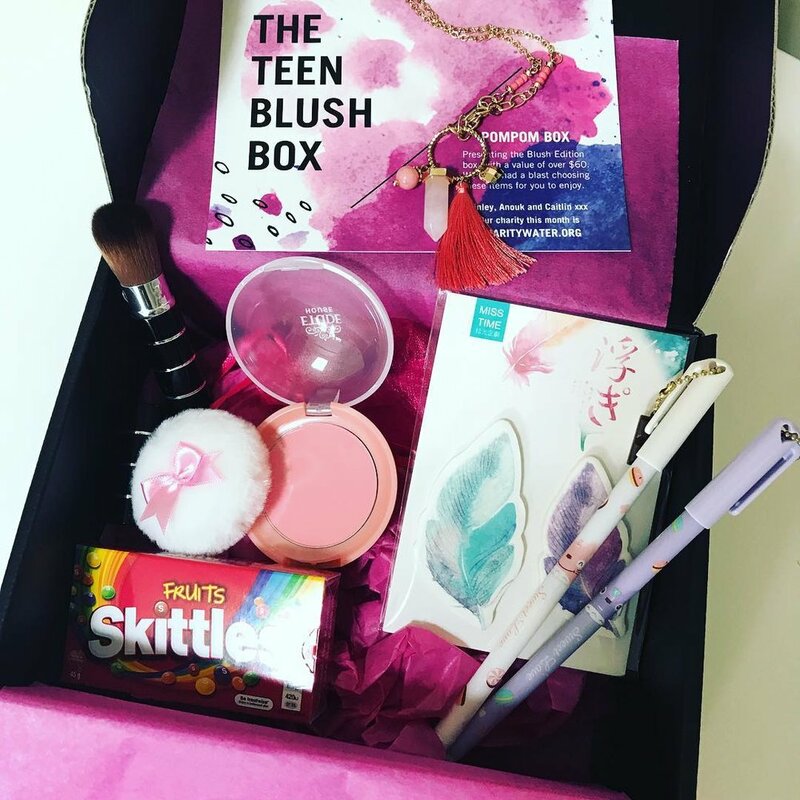 We all know that the tween girls (ages 8-12) or teens (13+) in our lives are some of the hardest to please when it come to selecting an "on point" gift causing all kinds of shopping anxiety! 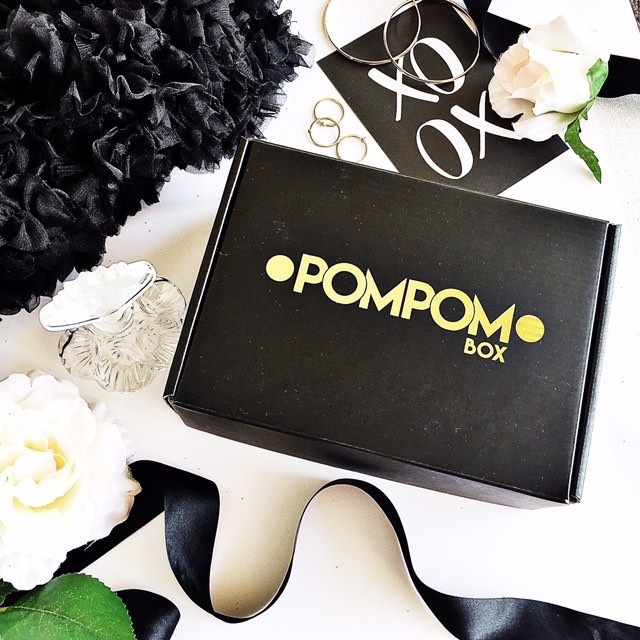 Pom Pom Box seem to have the inside knowledge on what is hot and what is not in the tween/teen world and have created an exclusive subscription box especially created to delight and inspire fun and fabulousness for tween and teen girls. There are 5 different products to fall in love with every 2 months. They also offer special feature boxes with beauty products, jewellery and treats from a fabulous part of the world (like Paris eek!) This gift will be sure to bring a smile to her happy little face. Succulents are surging in popularity, as they are virtually maintenance free. And any budding interior designer will tell you that they are bang on trend for freshing up the "look" of any room! They are also perfectly suited to Perth’s Mediterranean climate; they have low-water needs and look good all year round. They also come in surprising shades of blue, teal, silver, chartreuse and burgundy. So go on...opt for a low maintenance gift that seems to be the gift that will just keep on giving as it brightens up the room without any fuss! 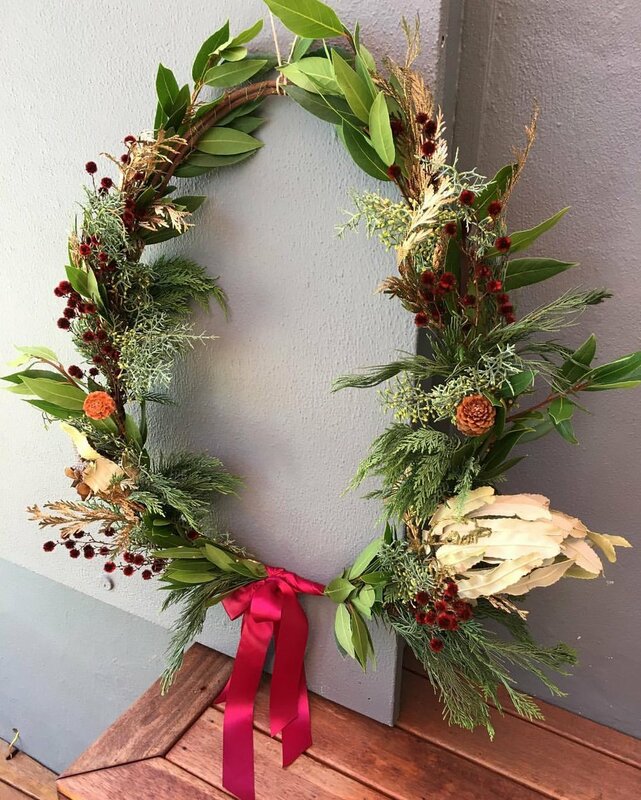 This unique take on a traditional Christmas wreath will be sure to please your Christmas day host if you're lost for what to bring....when you're told not to bring a thing! Or you may just love it so much that you'll end up hanging it on your front gate or door or near your fireplace mantle. There are multiple colour options available which can be tailored to your specific needs. 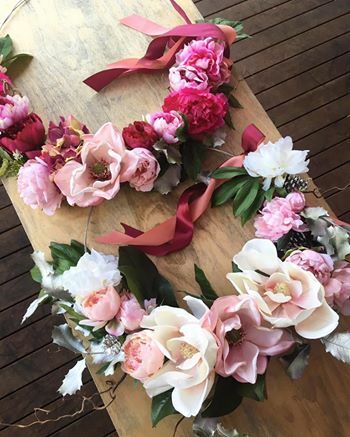 These beautiful silk Christmas wreaths won't wilt in the scorching Perth heat...and will be enjoyed every Christmas for many years to come. A great long term investment i'd say! It wouldn't be Christmas if there wasn't a bit of overindulgence when it comes to desserts. Red Apron are offering Christmas Chocolate logs this Xmas. If you're not much of a baker and you've been nominated to make the Christmas day dessert then this could be your secret weapon! Depending on how big your Christmas day gathering is you can choose a portion that will cater to your numbers perfectly. Time is running out though with orders closing 18th December so be sure to hurry and place your order now for irresistible chocolatey goodness! Chocolate log orders need to be placed by 4PM Monday 18th December for delivery or collection on the 23rd December. Any discerning "Foodie" would be delighted to receive one of these beautifully handmade porcelain gift packs. 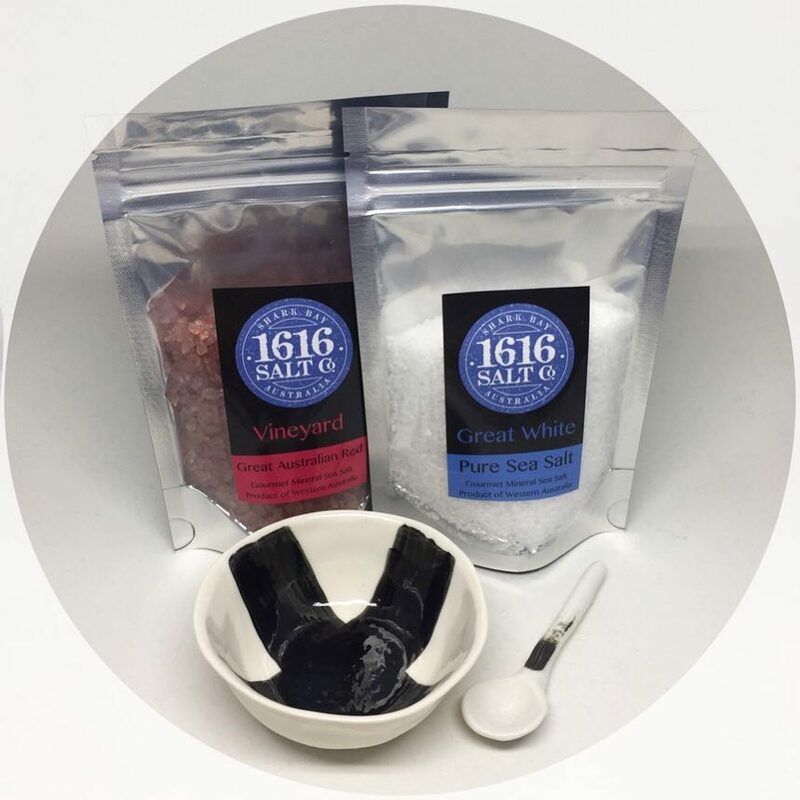 The porcelain dish and spoon comes complete with your choice of 1616 West Aussie salt. This unique hand crafted piece is the perfect accompaniment to a delicious Christmas feast and to be treasured for years to come. If you know someone who has a passion for fashion and who loves to sketch we have found the perfect gift for them. The Christmas 2017 Fashion Illustration Workshop Gift Certificate! This gift certificate offers attendance to a 5 hour Michelle Pike Fashion Illustration workshop with Michelle Pike herself. The recipient will have a gorgeous fashion illustration to treasure forever! 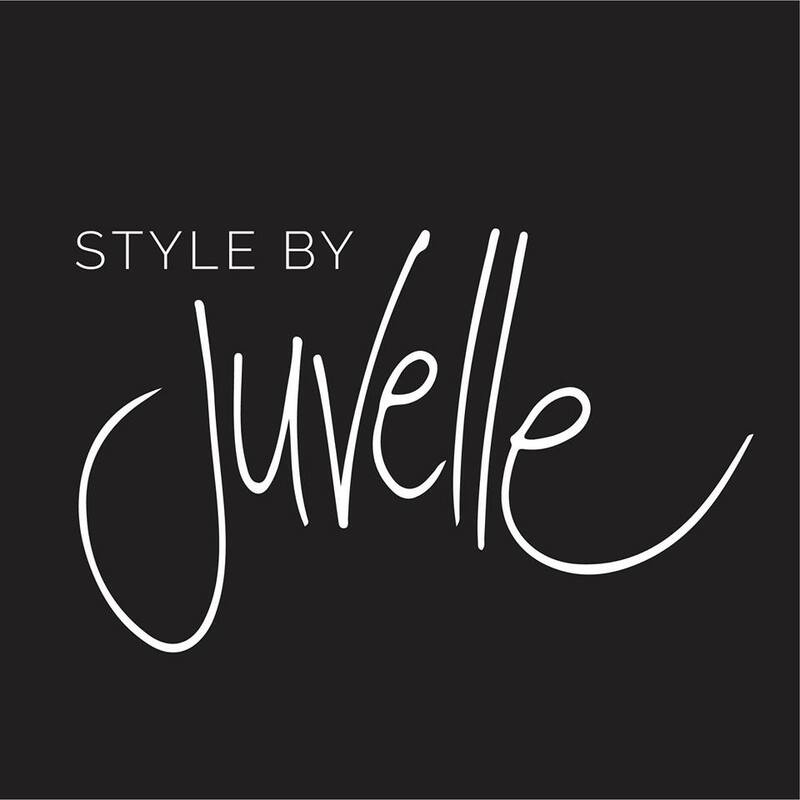 Fresh from her involvement with some of Perth's hottest runway shows, Juvelle is sure to breathe a breath of fresh air into many a summer wardrobe! We've all had a girlfriend on the phone at some point say they have nothing to wear so they'd rather not go out...well no more excuses! Surprise her with this amazing Wardrobe Refresh Package for Christmas and you'll be dancing your way from party to party this festive season! Don't miss out on this special Christmas offer with 20% off Wardrobe Refresh packages for Christmas. Cost is $397.60 (original value is $497) & packages need to take place before March 31st 2018.